For a full review of Numero 28, read my first review (more comprehensive) and my second (a confirmation). We’ve been back several times, and I don’t have much to add, but the old posts don’t have good pics of the food, so I thought you’d appreciate having some. 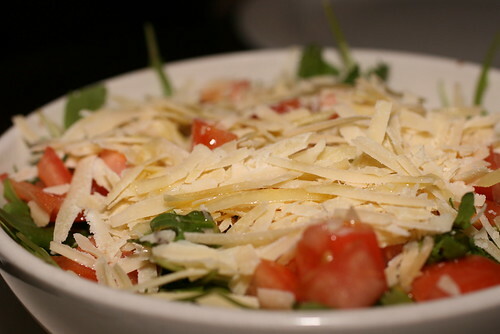 They have fresh salads covered in copious amounts of cheese. 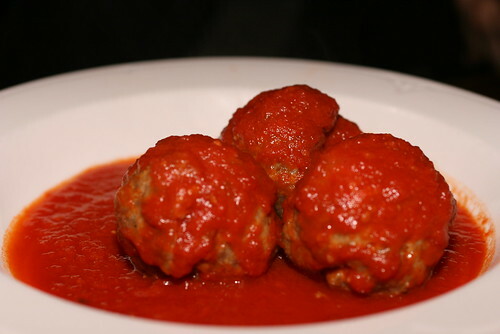 The meatballs were too salty, but the only thing I’ve ever disliked at Numero 28. I always get a plain pie. They have 3 types, varying by fresh, regular, or buffalo mozzarella. This was the one with buffalo mozzarella. 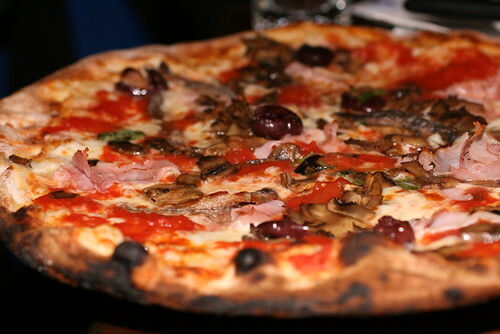 Here’s one with ham, artichoke, mushrooms, and olives. 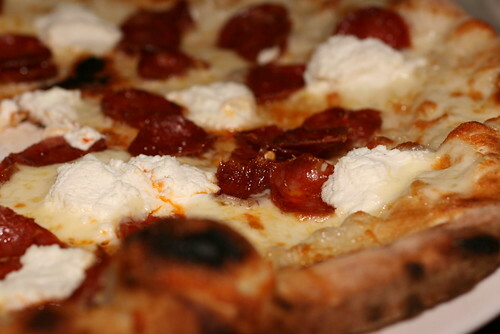 I even liked the one with Ricotta and Sopressata, even though I’m not a fan of white pizzas, or ricotta. 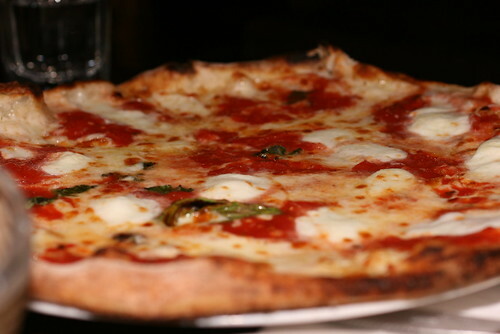 They’re still my favorite pizza place in Manhattan, particularly because of their super fabulous pizza dough! posted by jessica	at 02:45 PM	Filed under Favorites, Italian, Restaurants. You can follow any responses to this entry through the RSS 2.0 feed. Both comments and pings are currently closed. They look delicious. But, the crusts look way over done for me. Delicious! Wishing you and your loved ones a happy holidays! Happy Holidays everyone! Thanks for a great year!